Avante: How did you get started in Modeling and Singing? Laith: When I was 19 a friend of mine asked to shoot me. She was just starting as a photographer and wanted to use me as a subject. As far as singing, I have been singing and dancing to all the music videos since I was 7 or 8. Avante: What was it like growing up as a transgender kid in the US? Laith: My life was not out of the ordinary. I went to school, played sports, went to church and spent time with my family. Avante:What is masculinity to You? 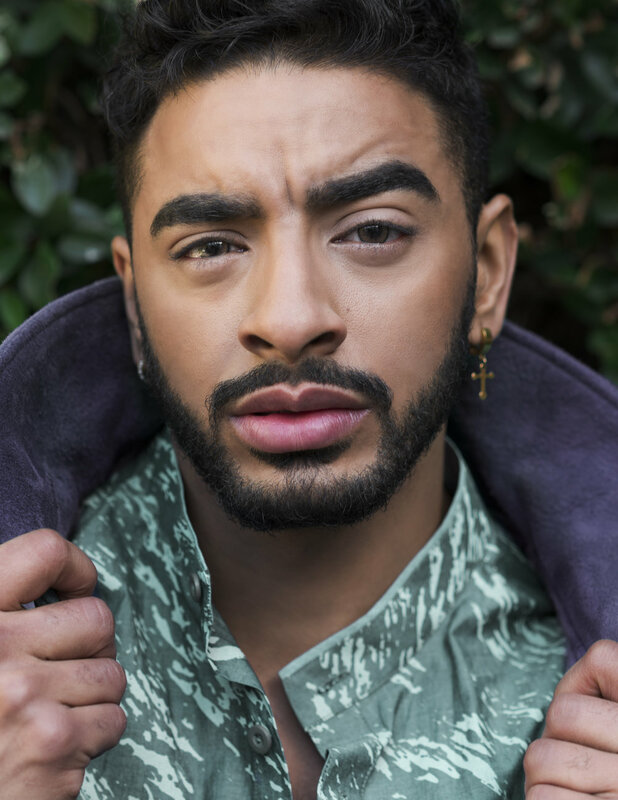 Laith:To me, masculinity is not being afraid to be who you are, not allowing society to box you, not being afraid to show your softer or feminine side because society says that is “weak”.My masculinity is power in stillness. Avante:How would you describe yourself in three words? Laith: Honest, charming, and warm. Avante:What is your favorite body part? Laith: My hands, and lips. Avante:What is your beauty secret? Avante:What is Your Favorite Sport? Avante:If you could go to any place in the world where would it be and why. Laith:I don’t think there is a place I long to visit. I am just focused on my career. Avante:What has life taught you? Laith:Life has taught me to always stay true to myself. Avante:What are you up to now a days? Laith:I am working in my music, still modeling, and doing advocacy. I currently signed with NTA talent agency, and I am starting my work in theatrical. Avante:What is one thing people don't know about you? Laith: I choreographed for the hip hop dance team in college.